One of the ways I prepare for any trip abroad is to read up before I go, then while I’m travelling, and normally when I get home (to keep the good memories fresh). With a country, or subcontinent really, as vast and as varied as India, in everything from geography and religions to histories, cultures and cuisines, I have found reading to be essential to even begin understanding its people, its past and its present. Whether it is light-hearted crime novels or academic histories, guide books or biographies, all of the titles below have entertained me, enlightened me and opened my eyes a little more to this fabulous, complicated, diverse and simply magical country. When writing a reading list (and especially on such a big country), there are always going to be titles that are missed out. Therefore, it’s worth mentioning that this list is not pretending to a) exhaustive b) taken as gospel c) written by somebody who has read every book about India ever published. As an English reader, based in London, I am also by default more versed in works published by authors that are part of the English writing tradition, than Indian. With all of this in mind, I hope that you enjoy the list below and that it makes for happy, and inspiring, reading. 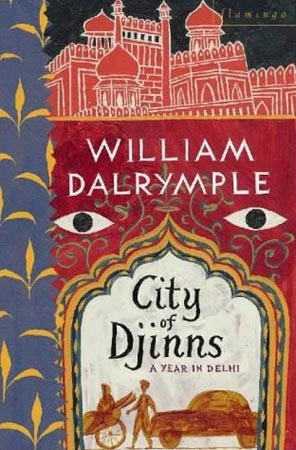 It was my second visit to Delhi that prompted me to read City of Djinns, and thus start my ongoing love affair with William Dalrymple. Dalrymple’s history of Delhi unpeels itself like an onion skin so that we start with the present day and end with the city’s earliest settlements. Starting with what you know allows Dalrymple to reel you in, and only later when you’ve fallen under his spell does he introduce the unfamiliar names and the seriously early prehistory. Dalrymple, unlike so many travel writers and historians, always writes in such a way as to carry you along in the wave of his enthusiasm and pure love of the subject. The book is also a love letter to a city which Dalrymple obviously fell head over heels with on his arrival in the late 1980s, fresh from his time at Cambridge, where he spent a year learning about India and its most ancient city. Nearly every trip to India starts or ends with a stop in Delhi, and so I would recommend this book to all; it will bring alive the city and its many ‘dead’ monuments in a way that so few other books manage to do. Very different to the other entries, A Princess Remembers is a must-read for anyone visiting Rajasthan and its world-famous forts, temples and palaces. 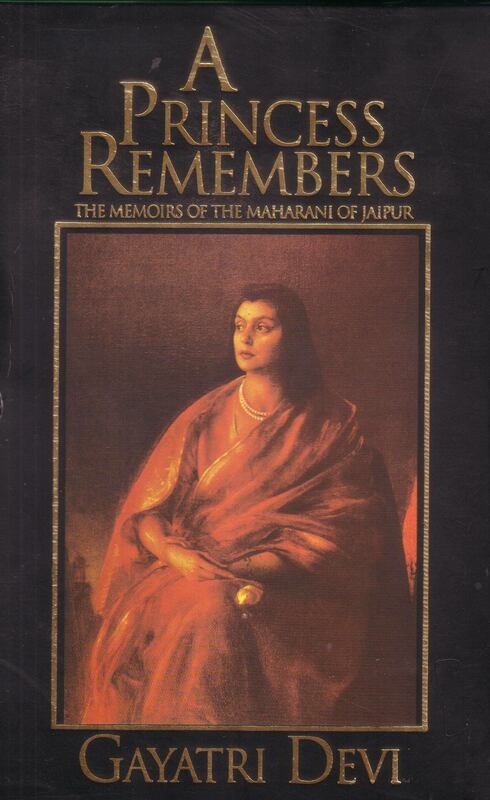 An autobiography by the last Maharani of Jaipur, this wonderfully romantic memoir recounts Devi’s eventful and glamorous life; from her time as a young girl born into the forward-thinking and liberal royal family of Baroda, in the early part of the 20th century, through to her marriage to the Maharaja of Jaipur, where she lived in strict purdah, the glory days of the British Raj and the troubled years of post-independence India. Obviously biased, and heavily in favour or the pre-independence model of princely states, this is nonetheless a joy to read. For all visitors to Rajasthan, there is the risk that visiting palace after palace and fort after fort can start to tire even the most enthusiastic traveller. However, reading this both before my departure, and during my trip, it completely transformed the experience into a personal one. A stay in Rambagh, and a swim in the Maharani’s indoor pool, a visit to Jaipur’s City Palace, dinner at Jodhpur’s Umaid Bhawan, a boat ride on Udaipur’s Lake Pichola, and even walking past buildings in Delhi, were all done with the princess’s adventures fresh in my mind. 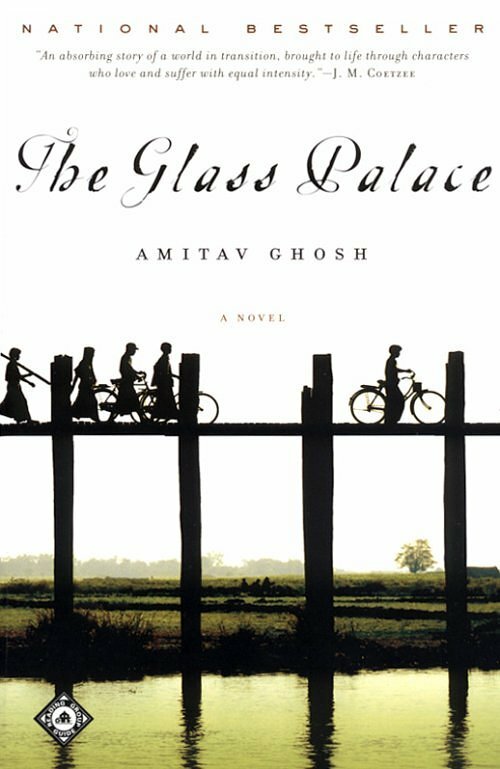 A war epic of Tolstoy-esque proportions, Amitav Ghosh’s most famous, and certainly his most impressive, work spans over a century and covers multiple countries – Burma, India and Malaysia. Chronicling the British capture of upper Burma, the exile of Burmese King Thibaw to India, the expansion of the British Empire, the outbreaks of WWI and WWII, post-independence India and the military take-over of Burma, this is as much a love letter to Asia as an emotive family drama. Whether describing the vast rubber plantations of Malaya, post-war Calcutta, the hot and sticky seaside Indian town of Ratnagiri or the Imperial glory of pre-colonial Mandalay, Ghosh manages to utterly transport you to another place and time, as well as into the minds of so many different characters and lives. Exploring the themes of politics, economics, empire, family, nationhood and colonisation (of both countries and mind), The Glass Palace is a must-read for anyone looking to understand the legacy of the British in Asia. Recounting the days up to, during, and after, the ‘Indian Mutiny’ of 1857, The Last Mughal was Dalrymple’s first foray into military history (before publishing The Return of the King, the story of the first of many failed attempts by Western powers to control Afghanistan). 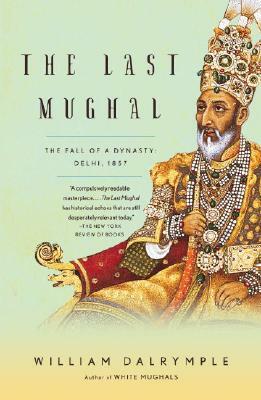 Despite sounding fairly niche, and as if it would be the chosen reading material of retired army officers, The Last Mughal is a riveting account of this tumultuous period of history and the events that led to the fall of the once great Mughal Empire. Whether describing the storming of Delhi’s Red Fort (in incredible detail), the complexity of the relationship between the powerless Emperor and the Indian sepoys, or the twilight years of a more harmonious relationship between the British and India’s people, The Last Mughal is a tour de force which will make you forever see Delhi in a new light. After 1857 the English presence in India began the process of solidifying into what we now know as ‘The Raj’. For those interested in this fascinating chapter of Indian history, cultural-tour operator Martin Randall runs a specific itinerary based around the so-called ‘Indian Mutiny’ or first war of Indian independence. You can see more details here. High words of praise on the dust jacket and an enthusiastic foreword by William Dalrymple promised good things about The Blue Guide India, and I wasn’t disappointed. 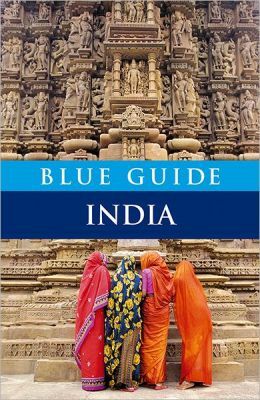 The best guide-book that I have come across on India (or on any destination) to date, The Blue Guide manages to be incredibly thorough but never boring. The narrative is concise but not dry, the maps are excellent, the content is spot on, and while remaining a guide book in the traditional sense, The Blue Guide also manages to provide a wonderful history and context on this vast subcontinent – no easy task. More than just describing the sights to you, this is a guide that shows both sides of history, and which provides a deeper insight into related topics; whether it’s a factbox on Tagore’s Calcutta or Lord Wellesely, Governor General of India. The only minor setback is, understandably, the size of the book, which makes it a drag to carry around sightseeing all day. I got around this by photocopying the chapters focused on the places I was visiting and leaving the rest at home. For those that like colourful and photo-led guides, this is not the one for you. For more visual travellers I would recommend India: DK Eyewitness Travel Guide, published by Dorling Kindersley. Before I was old enough to read it, I remember being enchanted by the beautiful cover of this book as my older sister read it on holiday. As green and lush as the backdrop of the story, Roy’s native Kerala, this Booker prize-winning novel is the story of an eventful period in the young lives of twins Estha and Rahel. 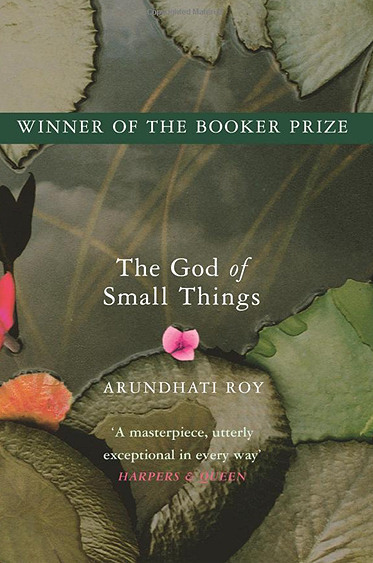 Narrated mostly through Rahel’s eyes, God of Small Things will break your heart right down the middle, mostly due to Roy’s eclectic writing style, that defies both convention and categorisation, and which is simply captivating. Managing to successfully cover both the elusive world of childhood and Indian history and politics in the latter half of the 20th century, The God of Small Things is undeniably an Indian novel, but at the same time its main strength is that it captures moments in life that are universal and, which before reading Roy’s novel, seemed indescribable. Delhi-based Roy hasn’t written another novel since, claiming that The God of Small Things was a story she had to tell, rather than the first of one novel churned out after another. She is now heavily involved in activism and human rights and has penned numerous collections of political essays, mostly on India. It was my recent visit to Hyderabad that gave me the reason to start yet another William Dalrymple book (never a chore, and always a pleasure). Visiting the former British Residence, which was home to the colonial-era British ‘Resident’ or diplomat, I became enchanted, as many have before me, with the story of the doomed love affair between James Achilles Kirkpatrick and his forbidden Muslim bride Khair-un-Nissa. 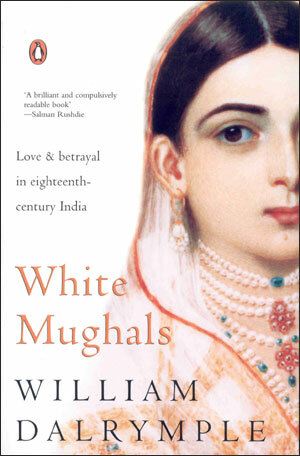 Managing to turn historical accounts into a juicy narrative, in the way only Dalrymple can do, White Mughals lures you in to late 18th and early 19th century Hyderabad. This was a time when the East India Company was still evolving into the beast that it later became, and when there was a greater plurality and mutual understanding between East and West than ever before, and perhaps ever again, in history (read more about that here). The word on the grapevine (and even Dalrymple’s twitter account seems to confirm it) is that White Mughals is soon to made into a film, with Ralph Fiennes in the leading role as Kirkpatrick – serious swoon alert. Only recently published, A Strange Kind of Paradise is a book that’s very difficult to categorise; part personal memoir, part travel book and part history of India (so not very ambitious then), this sounds like it shouldn’t work, but it really does. I find that so many histories of ancient India end up as dry accounts of dates and battles that are impossible to put into any kind of real context, unless you’re a historian or serious academic. Miller manages to escape this trap by weaving ancient tales with personal anecdotes and travel adventures, interesting facts and figures that are relevant to the modern reader, useful wider global context and a large sprinkling of humour (another ingredient so often missing in historical work). Miller’s premise is that India has been visited and represented by outsiders since records began. Whether it’s The Beatles, Alexander the Great, Mughal emperors or Thai tourists, India has fascinated and disgusted people in equal measure. This entertaining and hugely informative book guides the reader through the history of this representation, with the result that you learn as much about the visitors as you do the country itself. 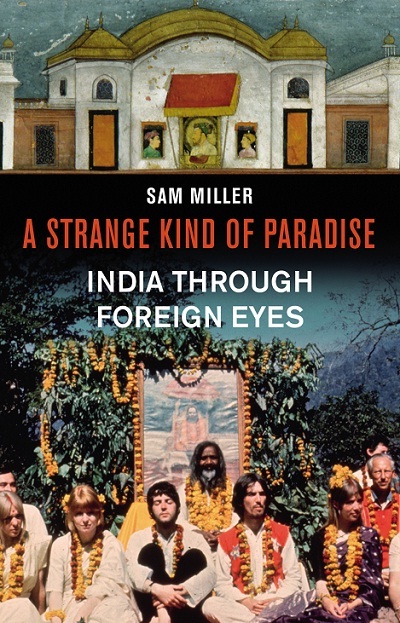 With a Indian wife, and based in Delhi himself, Miller gives a wonderfully mixed perspective on a country that has, perhaps more than any other, utterly captured the imagination of its visitors. As you may have gathered from this list, my favourite kind of books are those that manage to blend history and facts with the stories of real life and real people. 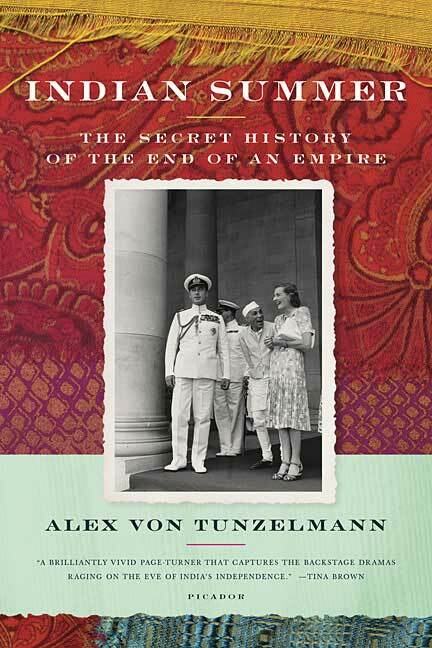 Alex von Tunzelmann’s ‘secret history’ revolves around the slightly claustrophobic triangle of Edwina Mountbatten, Jawaharlal Nehru and Lord Mountbatten, as the two men plotted, and often pitted against each other, in the lead up to India’s independence from the British in 1947. Tempers, as well as temperatures, are high as they battle with one another, as well as with other formidable characters, such as Gandhi and Muhammad Ali Jinnah, to come to an agreement on the future of post-colonial India as the clock furiously ticks. Focussed around the love affair between Edwina and Nehru, Indian Summer is an atmospheric account of the personal and the political, and how they are always intertwined. Most are familiar with the horrors of partition, but this illuminating book demonstrates the way that the decisions made by so few, and often based around petty personal politics, can have devastating effects on so many. I’ve already mentioned Tarquin Hall’s delightful series on my ‘Top Ten Travel Novels’ post, but these four detective stories definitely deserve a second listing. 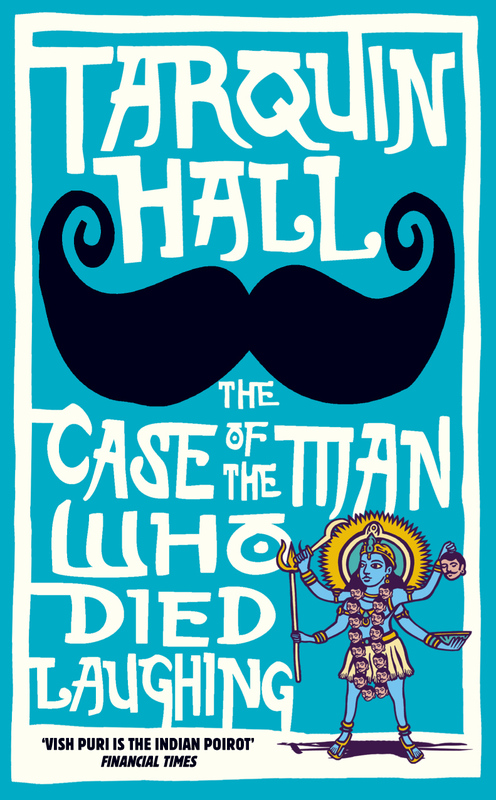 Focused on the loveable Vish Puri, of ‘Most Private Investigator’s Ltd.’, Hall’s wonderful tales manage to both entertain and educate, in equal measure, using the medium of comedy to explore issues pertinent to contemporary India. The ‘classic’ Indian themes of the caste system, arranged marriages, corruption and religious tension are addressed in a new light – fresh, approachable and not in the least bit preachy. Hall’s novels, which are based in India’s capital, capture the pulse of the city perfectly, without falling into tired clichés and predictable Western categorisations. The best of the four published to date, in my opinion, remains the first, The Case of the Missing Servant, however, all four take Puri, a sort of Indian Mma Ramotswe, to different parts of the country, trying local delicacies, meeting a cast of colourful characters and solving crimes along the way. These easy to read novels are perfect for poolside reading, after a busy day of sightseeing, but may keep you up reading into the night to uncover who really was behind that deadly butter chicken. Because I’m a relatively new Indo-phile (my first visit to India was only just over two years ago), I’m still reading my way through the mound of classics, both new and old, on the subcontinent. The big two that I’m still working up the courage to tackle are Vikram Seth’s A Suitable Boy (if you’ve seen it in the flesh you’ll understand my hesitation – it comes in at just over 590,000 words) and Midnight’s Children, Salman Rushdie’s Indian independence epic which was recently adapted into a film of the same name. Two classics that are definitely on the list are John Keay’s iconic India Discovered and, on the fiction front, E.M Forster’s classic, A Passage to India, which I’ve yet to read but have watched the brilliant film adaptation. This list will keep growing as I keep reading, but if I have missed out any of your favourites, please pop them in the comments box below. Very hard to get now, hasn’t been digitised, but the superb “The Jewel in the Crown” series of novels by Paul Scott. The TV series seems to be more available than the novels it’s based on!